Do you already know Bioré’s promising products? 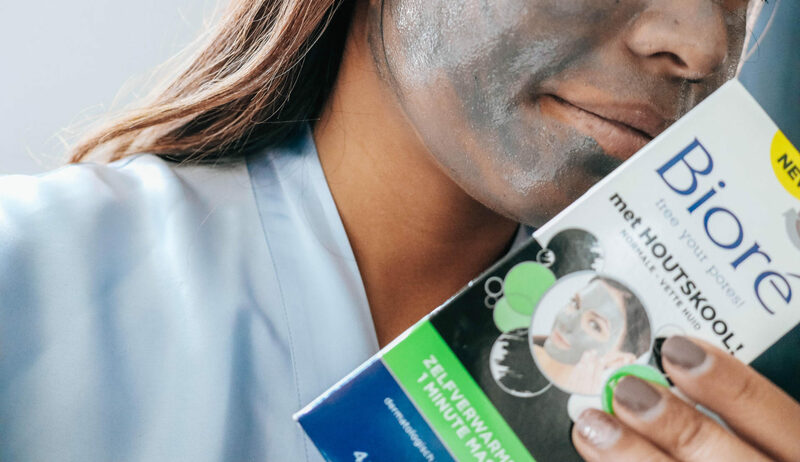 This skin care brand is the US pore expert who totally focuses on clogged pores. Also, you see Bioré’s brand ambassador Shay Mitchell from Pretty Little with the product on social media. 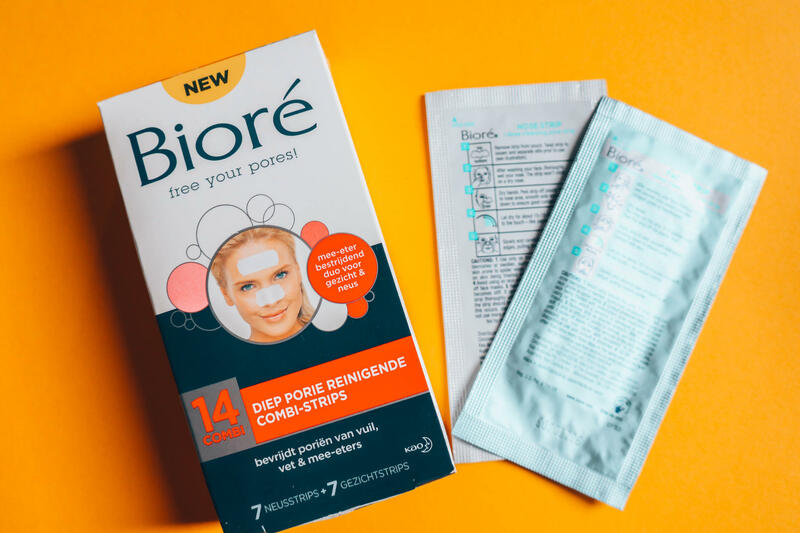 Bioré’s products remove blackheads, dirt and grease that hide the pores. Besides the US, it’s also a big success in Japan. But there is good news for the Dutchies, because now it is also available in the Netherlands YAY! 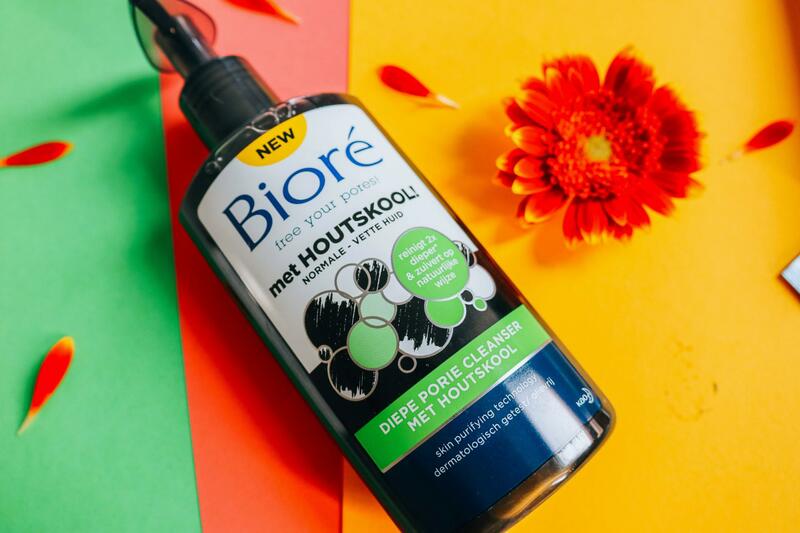 So Say Hello to Bioré, Bye Bye to dirt! 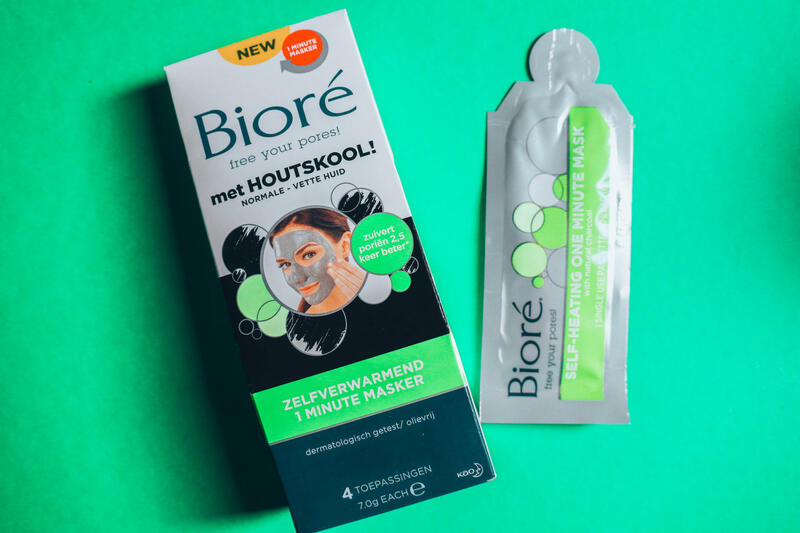 The line of Bioré available in the Netherlands consists of seven products that deliver a clean skin in a few steps. So I got acquainted with the charcoal strips, Bioré Deep Porie Cleanser with charcoal and Bioré self-heating 1 minute mask with charcoal. The ingredients of Bioré’s can be divided into two main ingredients. One of the main ingredients is activated charcoal. This ingredient is known for its high absorbency. Charcoal works like a kind of magnet that binds to dirt, oil and blackheads. Charcoal works especially well with oily skin. It focuses on overactive fat pores all over the face and reduces the oily and shiny skin for a clean look. The second main ingredient is Baking Soda. Oily sebum can clog the pores by keeping dirt and oil in the pore and causing irritation and redness. Baking Soda solves this problem. It’s a natural cleanser and exfoliates the skin. The ingredient is especially suitable for dry-combined skin, because it focuses on excess fat which is especially in the T-zone. These combi-strips are for your nose and skin. These remedy the most persistent problems of the pores such as blackheads caused by oily skin. The greasy and shiny skin becomes super clean and the pores become less visible. Recommended retail price € 10,99. I put the strip on a clean and wet nose. After 15 minutes the strip felt hard, just like paper mache. You cannot pull it off at once. Pull it slightly from the edges to the center. On the strip I saw the blackheads. Also my nose feels very soft and I could say goodbye to excess oil. I haven’t tried a cleanser with charcoal before, but this product certainly gives good results. My skin felt very dry throughout the holiday. This cleanser glows my skin, softens it and removes its impurities. It removes and absorbs more dirt and impurities than a standard cleanser. The gel purifies pores by removing and absorbing oil and impurities for complete facial cleansing. Recommended retail price € 8,99. The self-heating mask with natural charcoal heats the skin, opens the pores and allows the sebum to melt. Through the heat all the dirt, oil and all impurities can be removed. Then cool off the formula and it leaves a tiny soft skin. Enjoy a clean skin in just 1 minute! Definitely also recommended! Recommended retail price € 7,99. Besides these products, there are also Deep Pore Cleansing strips with charcoal (€ 6,99), Bioré Pore Decreasing Scrub with Charcoal (€ 10,99), Bioré Porie Cleanser met Zuiverings-Soda and Bioré Porie Cleanser with baking soda (€ 8,99). I’m definitely a number # 1 fan of this brand. It’s easy and fast to put on, it instantly delivers results and it’s not expensive at all. The products are available at Etos and Kruidvat. Want to know more about the skin care brand? Take a look at their official website enter. 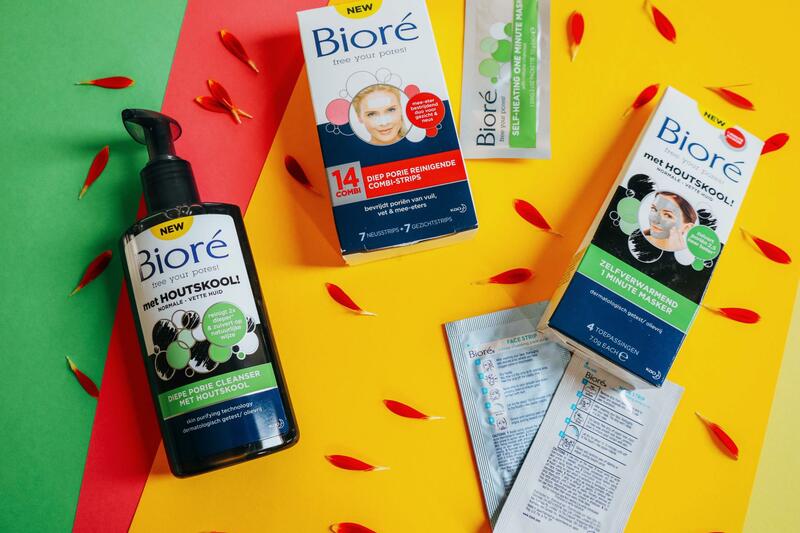 Have you ever tried products of Bioré? I love the Biore charcoal cleanser! I’ve been using it for awhile & got my bf hooked on it. Also love the size the masks comes in, so great for travelling. Glad to hear they have it in the Netherlands now!